To maintain coherent discourse linguistic and non-linguistic information must be integrated using a mental representation of current discourse. The ability of children with Down syndrome to use mental representations in discourse was assessed in this study by investigating the use of referential forms using a narrative task. The narratives produced by children with Down syndrome were compared with those of typically developing children. The influence of certain contextual features on the ability of children with Down syndrome to use pronouns and other referential forms was also investigated. These features included: the relative status of the characters, the number of characters in the story, the method of presenting the story, and the position of a listener while narrating the story. Findings from this study indicate that typically developing children use a particular referential strategy when narrating a story. Children with Down syndrome do not use the same referential strategy. At a local level children with Down syndrome seem able to integrate sources of information in a mental representation of the discourse, but difficulty arises at a more general level. Moore, L, Clibbens, J, and Dennis, I. (1998) Reference and representation in children with Down syndrome. Down Syndrome Research and Practice, 5(2), 63-70. The goal of this study was to examine the prelinguistic communication skills of children with Down syndrome. Ten children with Down syndrome, ten non-delayed children and five children with learning disabilities but not Down syndrome were matched for one word comprehension level on the Derbyshire Language Scheme. Data was gathered by completing the "Pragmatics Profile of Early Communication Skills" and by making ten minute samples of video recordings of mother and child engaged in low structured free play situations. Results and preliminary analyses showed that there was no significant difference in the extent to which children with Down syndrome use most non-verbal communicative behaviours compared to non-delayed infants when matched for comprehension. However, they were significantly delayed at using referential eye contact and words. These results and the issue of whether they are specific to children with Down syndrome are discussed in the light of contemporary findings. Jenkins, C, and Ramruttun, B. (1998) Prelinguistic communication and Down syndrome. Down Syndrome Research and Practice, 5(2), 53-62. The paper reports on mothers' perceptions, ideas and beliefs about the hardiness and resilience of their families, in families with and without a child with Down syndrome. Mothers in Australia and New Zealand responded to The Family Hardiness Index (FHI), a standardised psychometric instrument, suitable for the purpose of this investigation. Furthermore the Australian cohort responded to an in-depth interview schedule, in which family hardiness was the main feature. Results suggest that there are minimal differences between families with and without a child with disability. Furthermore, mean differences between the two groups were not statistically significant. These findings point to increasing evidence that the previously identified pathology and dysfunction in families with a child with disability cannot be easily generalised to all families with disability, and in fact there exists emerging evidence that the presence of disability can have the opposite effect and provide families with a sense of hardiness or resilience. The close agreement between the means obtained in this study and the means of the published comparative data of the index suggests that the FHI is a suitable instrument to complement full family hardiness assessment. Bower, A, Chant, D, and Chatwin, S. (1998) Hardiness in families with and without a child with Down syndrome. Down Syndrome Research and Practice, 5(2), 71-77. We present our experience with groups using symbolic games for children with Down syndrome between 7 and 10 years old. In the results, we have observed a clear evolution in the game levels and the interaction strategies. We have witnessed how the child is capable of organising progressively his or her own activity in an autonomous manner, how he/she becomes interested in the others in the group and the difficulties arising in the process. The child appears in front of the rest with his/her own peculiarities. From his/her own process of becoming aware, there appear a number of important elements in the process of construction of his/her own personal identity. Borbones Lloveras, R, and Golano Fornells, M. (1998) The Group: An instrument of intervention for the global development of the child with Down syndrome in the process of social inclusion. Down Syndrome Research and Practice, 5(2), 88-92. The Associazione Italiana Persone Down is an association of families which acts as a reference point for the parents of children and adults affected by Down syndrome. 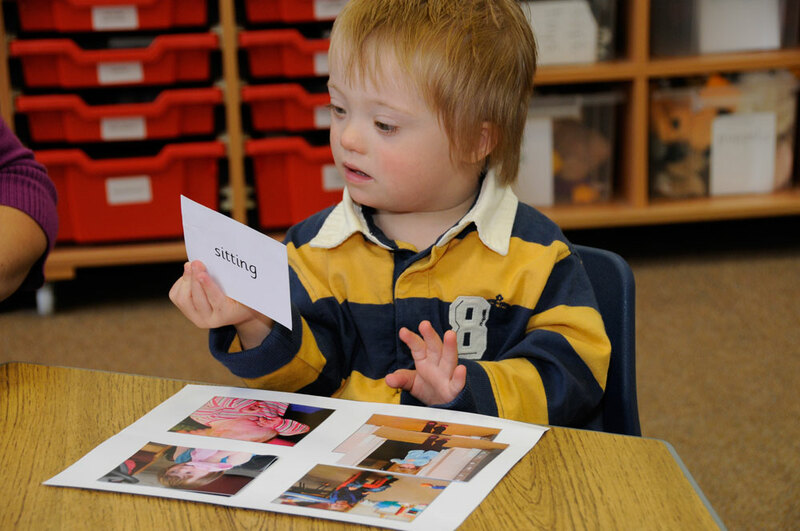 To stimulate and sustain the growth of the autonomy of persons with Down syndrome, the first educational course aimed at developing a capacity for autonomy was introduced in the AIPD in Rome in 1989. The course, which was designed for boys and girls from 15 to 20 years, has been repeated every year with an ever greater participation and replicated in many other cities. The educational objectives proposed by the programme are grouped into five areas: communication, orientation, road behaviour, using money, shopping and more generally making use of services. All the youngsters involved exhibit change; at the end of the course all are able to cross roads by themselves, use a public telephone, ask information in order to resolve their difficulties and know how to go shopping. Furthermore, there are aspects of each persons personality, such as confidence in self, self-esteem, and the capacity to establish relations with others, which have undergone great changes in the direction of a greater knowledge. There is also structural development of their own identities, first and foremost as adolescents, and then as adolescents with certain limitations but nevertheless as adolescents able to do a wide variety of things. Contardi, A. (1998) The Educational Course in the Acquisition of the Autonomy of Associazone Italiana Persone Down. Down Syndrome Research and Practice, 5(2), 93-98. Choose a story: Does Down syndrome make a difference? This paper describes a pilot study of mother and child interaction during a book reading session. It is a detailed qualitative and quantitative analysis based on videotaping a story-time session. Comparison is made between the interactions of a mother with her pre-school child with Down syndrome and of a mother with her non-disabled pre-schoolers. While many similarities are documented some possibly significant differences are also explored. Hainsworth, C. (1998) Choose a story: Does Down syndrome make a difference?. Down Syndrome Research and Practice, 5(2), 78-87.